The initial site visits are carried out by one of our directors. The same director will design the system, prepare the quotation, agree the contract and supervise the installation and commissioning. It is a very personal committed service of which we are justifiably proud. The Welvent range of drive over floors and tunnels are supplied as components and constructed on site by our own experienced installation Teams, to suit the exact requirements of the building. 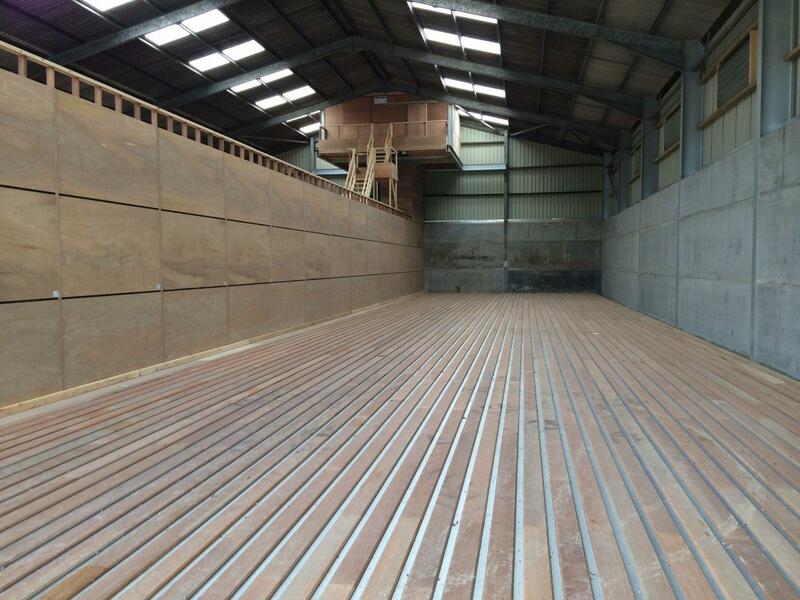 The floor is made up on a continuous plank basis with overlapping joints for maximum strength and longevity. The main advantage of the Welvent approach is that any requirements peculiar to the site can easily be accommodated. We combine softwoods with strategically positioned hardwoods, combining the strength character of the hardwoods with the more cost effective softwoods in less exposed areas. Welvent offer a range of tailor made timber or alternatively steel air ducts to suit storage depths from 6ft to 16ft, or store capacities from a few hundred to several thousand tons. Our installation team will erect on site from prefabricated components and keruing hardwood frames to provide all the strength required, backed up with an engineering design calculation. Constantly refined over a number of years, our installation methods involve experienced people with the right equipment for the job. Welvent installation teams have been installing crop stores for over twenty years and their experience is second to none.